TESLA, Inc. is proud to be a sponsor of the North American Energy Markets Association’s 2017 Spring Conference. The conference will be held May 10 – 12, 2017 in Niagara Falls, Ontario. 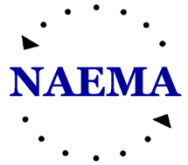 NAEMA is an independent nonprofit trade association that brings together energy industry professionals from across North America. The 2017 Spring Conference is an excellent opportunity to network and to learn about the myriad issues currently facing the energy industry. For more information about the conference click here.